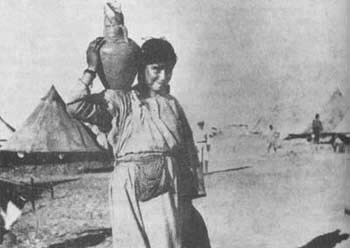 Genocide and kidnapped Armenian women. Orient im Bild, Summer, 1927. The policy of genocide against the Armenian population of the Ottoman Empire started with the annihilation of the male population and subsequent deportation the rest of the people into the Syrian deserts. These deportations quickly turned into вЂњdeath marchesвЂќ. Deportation caravans mostly consisted of old people, women and children. En route many of the women were kidnapped either by the Ottoman Turkish soldiers or Kurdish bands, or Bedouins killing any who tried to oppose them: tens of thousands women and children perished on the way to deserts, while others, in order to escape humiliation and violence, committed suicide. 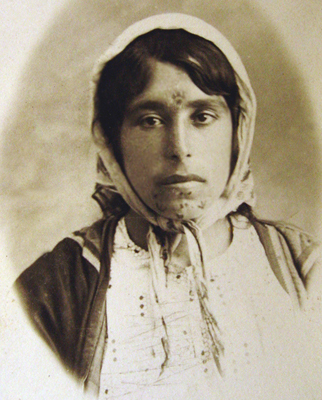 The Armenian genocide resulted in the kidnapping of thousands of Armenian women from their families, usually during deportations or overnight stops. 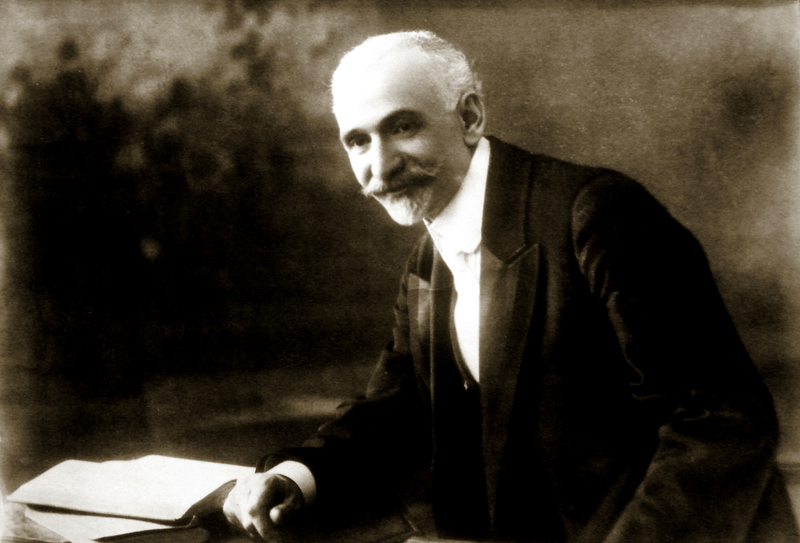 After the organized mass killings of the Armenian male population, during the first stage of state-orchestrated policy of extermination, the Ottoman governors implemented another pre-meditated phase of the genocidal policy: the destruction of the rest of Armenian population in the Ottoman Empire, this time targeting the elderly, women and children. Some of those individuals who were kidnapped and integrated into Muslim family life, over time forgot about their Armenian ethnicity and even lost the ability to speak their native language. 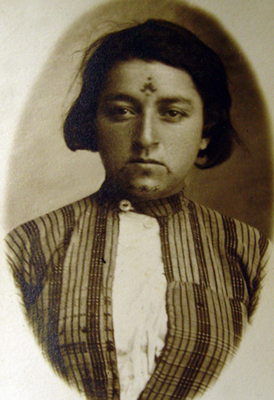 In order to save their own lives and the lives of their loved ones many Armenian women forcibly to adopted Islam. They eventually were married off to Muslim men and in keeping with local tribal customs, were marked with specific tattoos. Tattoos were extensively used as amulets in the Middle East and Islamic countries, with the wearers believing that the mark imbued them with magical powers. These tattoos were often in the form of dots or a small вЂњxвЂќ and provided protection, strength or fertility. These new markings represented new belonging and a marked change in their life. 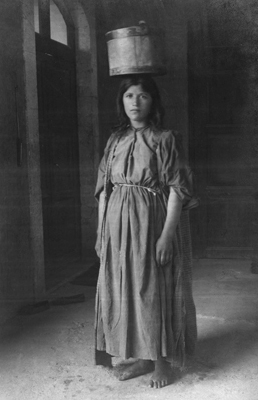 After the end of the First World War, many Armenian organizations and foreign missioners helped rescue Armenian women and children from their captors. These rescue missions turned into large-scale operations, rife with danger. 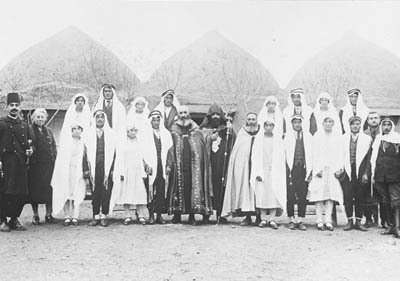 Particularly, Karen Yeppe, a Danish missionary who, with the assistance of some Arab tribe leaders, up until 1928, rescued approximately 2000 Armenian women and children from Muslim captivity. 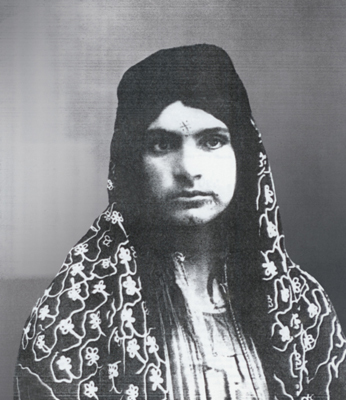 She helped establish special rescue homes in several locations which helped put an end to the tragic and painful ordeal many Armenian women had suffered. 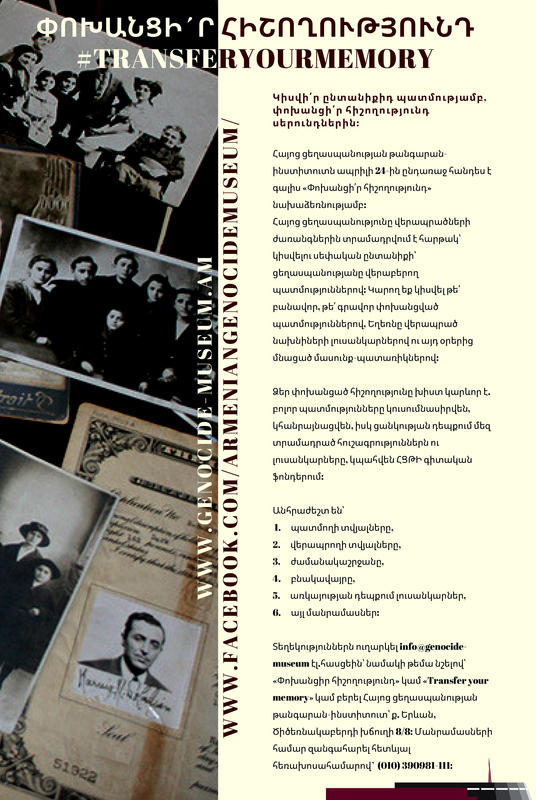 Many volunteers paid dearly with their lives for being involved in these rescue operations and many Armenian women felt victim during their escape attempts. 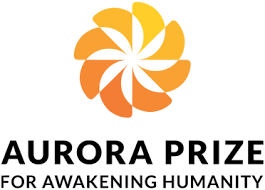 The kidnapping of Armenian children and women and their subsequent rescue efforts outlines one of the most tragic and dramatic episodes of the genocidal policy implemented by the Ottoman Turkish government against Armenian population in the beginning of the 20th century. 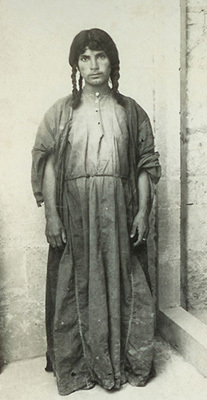 Dalida Khakhamian, servant in the Arab village Rakka near Haleb, Syria, early 1920s, Mkhitarian collection, Venice. 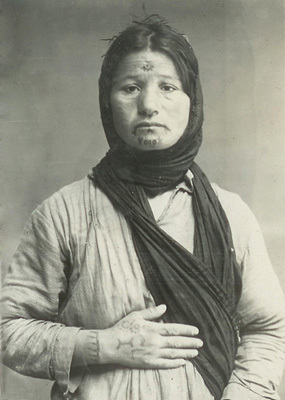 Islamized and tattooed Armenian woman, Karen Yeppe alboom, 1920s, AGMI collection. 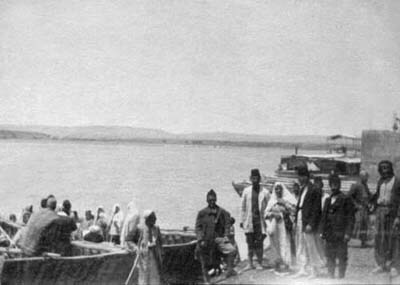 Rescued Armenian women near Euphrates river, 1919, Collection of Armenian National Archive. 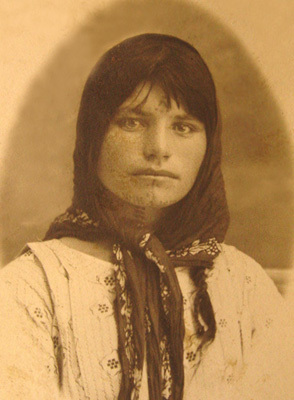 L. Bilandjian, 17 years old, from Aintab, Nubarian library collection, Paris. 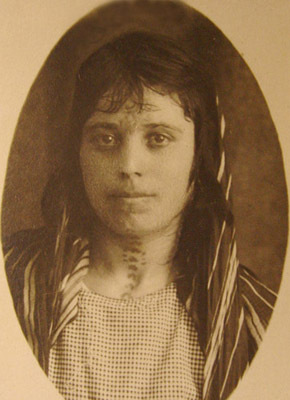 Tattooed Armenian girl in Syria, Karen Yeppe alboom, 1920s, AGMI collection. 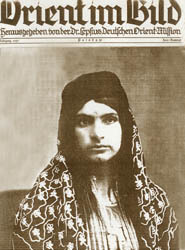 Marie Bisninyan, 20 years old, Nubarian library collection, Paris. Melek, 17 years old, Nubarian library collection, Paris. 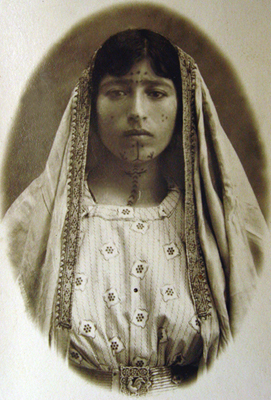 Victoria Delikeshishian, 18 years old, from Keghi, Nubarian library collection, Paris. 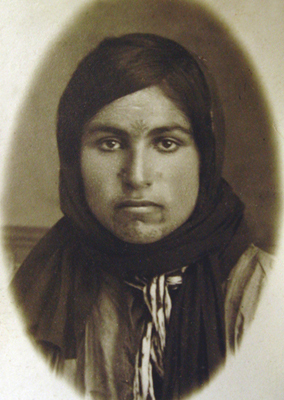 Gurdji, 16 years old, Nubarian library collection, Paris. 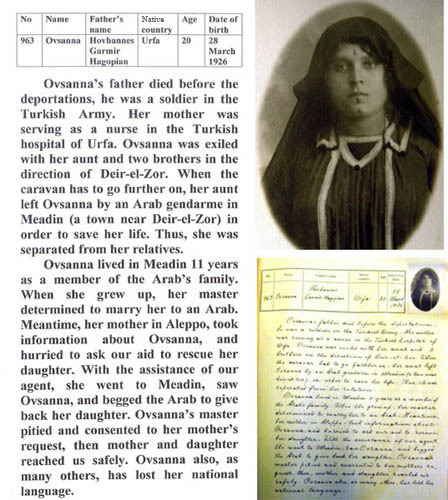 Ovsanna Hakobian, 20 years old, Personal data sheet, Nubarian library collection, Paris. 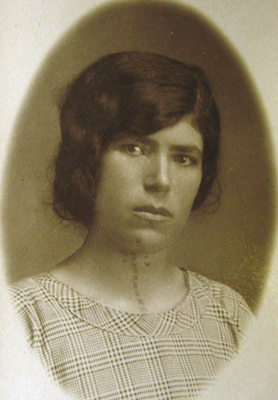 Annig Barugian, 19 years old, Nubarian library collection, Paris. 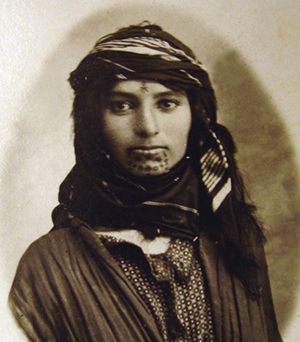 Astghik, 16 years old, from Urfa, Nubarian library collection, Paris. Khatoun, 17 years old, Nubarian library collection, Paris. 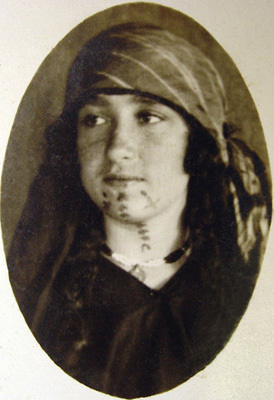 Islamized and tattooed Armenian woman, Orient im Bild, Potsdam, 1927. Mariam Chaparlian, 27 years old, from Marash, Nubarian library collection, Paris. 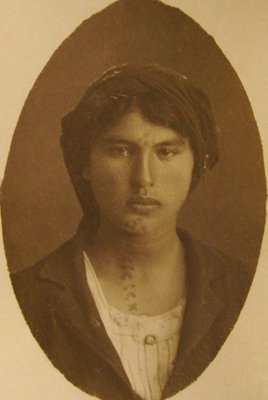 Vardanoush Khabetjan, 25 years old, from Qghi, Nubarian library collection, Paris. 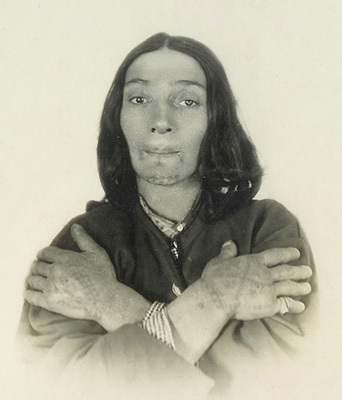 Soultan, 14 years old, from Yeni Shehir, Nubarian library collection, Paris. 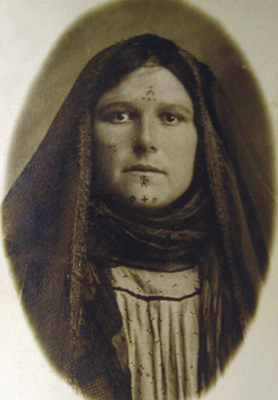 Victoria, 19 years old, from Adiyaman, Nubarian library collection, Paris. 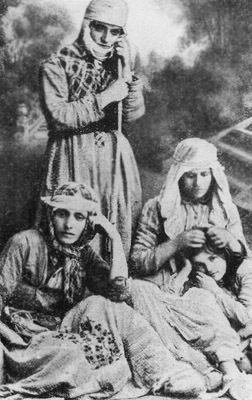 Armenian girls rescued from Muslim captivity. 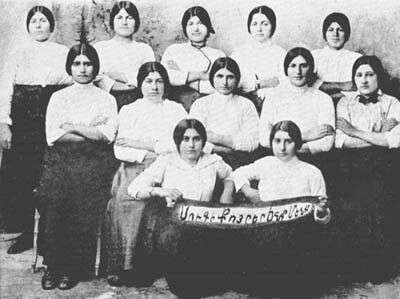 The banner says "We are sisters in sorrow", Collection of Armenian National Archive. 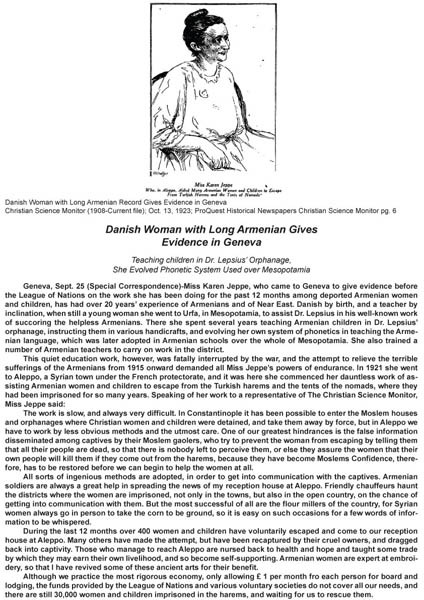 Armenian Couples married all saved teenagers, Gylling Archives Denmark. Seventh Ordinary Session of the Assembly of the League of Nations, 1926. 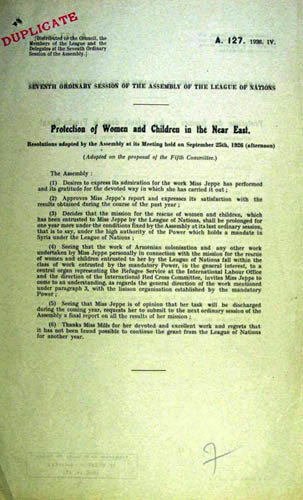 "Protection of Women and children in the Near East"
Here you can find the story of "THE RESCUE OF DEPORTED WOMEN AND CHILDREN".